Kingston is the capital of the island of Jamaica on the southeast coast, between the Blue Mountains and the world’s seventh-largest natural harbor. Kingston might overwhelm you with its noise and hustle, and is the island’s cultural and economic heart. A visit to Kingston is essential to taste the rich excitement of modern Jamaica. Downtown, the waterfront National Gallery of Jamaica has early and contemporary Jamaican art. Coronation Market is known for its colorful food stalls. Farther north, National Heroes Park has memorials to many famous Jamaicans. In the middle of Kingston harbor, the half-submerged ruins of the legendary pirate city Port Royal include the 17th-century Fort Charles. Fishing boats link Port Royal to Lime Cay, an offshore islet with white-sand beaches and snorkeling. A Kingston Jamaica Vacation can provide fun for everyone! And for other great Jamaica beach destinations, visit our Jamaica Travel Guide. Kingston has a tropical climate with relatively low rainfall. The dry season is November – July. The rainiest months (August – October) are during the Caribbean hurricane season (June – November). The popular travel months are (March–May, July–August and December–January). Key events include Bob Marley Week (Feb), with reggae concerts and events. Bacchanal Jamaica (Mar/Apr, dates vary) is an Easter carnival with colorful parades and music. The Jamaican Coffee Festival (Oct) focuses on local Blue Mountain beans. Passports valid for at least six months from the date of entry are required for all visits to Jamaica. 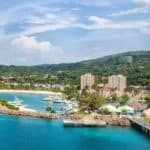 Most nationals require no visa to visit Jamaica. Most of those who do can obtain one on arrival. For stays of six months or less, no visas are required for citizens of the EU, the US, Commonwealth countries, Mexico, Japan and Israel. Nationals of Argentina, Brazil, Chile, Costa Rica, Ecuador, Greece and Japan don’t need a visa for stays of up to 90 days. Driving in Kingston isn’t for the fainthearted. Be prepared for erratic and aggressive driving. All hotels and shopping centers offer parking, but secure car parking is nonexistent Downtown. Fifteen minutes by boat from Port Royal is a small, low-lying island cay with one of the most beautiful beaches in Jamaica. The largest of the many small cays off the coast of Port Royal, Lime Cay is uninhabitable by humans because it is occasionally submerged when the tide comes in. 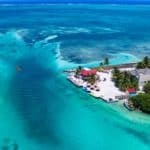 Lime Cay has been the source of many scams and hoaxes whereby the cay is “sold” to unsuspecting buyers as a potential location for a private resort. Don’t be fooled, Lime Cay is a part of Jamaica, and the beaches there are public and open to all who can get out there. Fort Charles is a weathered redoubt originally laid in 1655, and the only one of the town’s forts to survive the 1692 earthquake. Originally washed by the sea on three sides, the fort is now firmly landlocked due to the gradual silt build-up. At its peak, 104 guns protected the fort. Many cannons still point out from their embrasures along the restored battlements. In the center of the courtyard stands the small, well-presented Maritime Museum, containing a miscellany of objects – from glassware and pottery to weaponry – retrieved from the sunken city. Clean shores and waters are the main attraction at Fort Clarence. Although steeped in history, the fort itself was left to itself and is now in a state of disrepair. This spot is a popular venue for multiple forms of entertainment on the beach and mainly draws a local crowd on the weekends. Fort Clarence’s black sand beach is incredibly popular with the crowds of Jamaica because of all of the other activities available to guests of its shores. 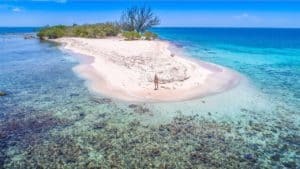 Although Maiden Cay Beach isn’t located in one of the most secluded parts of Jamaica, it is still a great place to enjoy the sun, sand, surf, and laid back atmosphere that the island is known for. Loose Cannon Boat Charter and Tours is a company that is determined to explore the most beautiful and exquisite beaches in Kingston, Jamaica. We are pioneering a comprehensive, all inclusive, first class service, that will provide our patrons with comfort, luxury and safety as they go to sea on our very spacious and stable 69 ft power catamaran. For more information call +1 876-495-2222, or visit them on the web at Loose Cannon. They provide to their guests, the best hotels accommodation, airport transfers, tours, excursions, charters and events in Jamaica. With over 20 years experience in tourism and management, they have become a trusted and reliable professional source. For more information call +1 876-630-0664, or visit them on the web at El Sol Vida Fun Tours. Arrowhead Birding Tours is a bird watching tour company in Jamaica. We provide from one day to several days excursions to birding hot spots across the island. All tours are led by professional local birding guides. For more information call +1 876-260-9006, or visit them on the web at Arrowhead Birding Tours. This Is Jamaica offers customized and personal expeditions around the island to some of Jamaica’s most beautiful hidden treasures. From spectacular mountain terrain to amazing white sand beaches, let them show you it all! Hike, snorkel, scuba dive, cave, bird-watch, surf, jam with the locals or just relax. This is your adventure, so see Jamaica as it was meant to be seen. For more information call +1 876-793-5406, or visit them on the web at This is Jamaica. “FIWI” is a licensed, insured and registered tour company that is located in the city of Kingston, Jamaica. They offer tour packages that will provide you with a full City experience and its surrounding areas. They also offer regular tours island wide starting from Kingston. Apart from their standard tour packages, they help to create custom tour experiences for their guests. For more information call +1 876-481-8082, or visit them on the web at FIWI Jamaica Experience Tours. $$ – $$$ Usain Bolt’s Tracks & Records Usain Bolt’s Tracks and Records has delicious Jamaican food and music. Sample hearty dishes such as jerked sausage, chicken and shrimp kebab, served with a spicy Appleton sauce. For a fresh, lighter option, try the cobb salad that comes with jerked chicken, pepper jack cheese, guava ham, boiled egg, peanuts, seasonal fruits and a citrus vinaigrette. For more information call +1 876-906-3903, or visit them on the web at Usain Bolt’s Tracks & Records. $$ Boone Hall Oasis Known for its ‘Sunday brunch by the river,’ the eatery serves up hot, delectable Jamaican food including succulent curried goat, soft sweet plantain, fresh salads and soups. Winner of the Jamaica Observer Food Award’s Best Sunday Spot and the Jamaica Pegasus Wedding Extravaganza’s Best Other Booth, this restaurant is a must-visit if you are traveling to the capital. For more information call +1 876-942-3064, or visit them on the web at Boone Hall Oasis. $$ – $$$ Hot Pot A breakfast and brunch buffet restaurant that has served up hearty food for over 35 years. Sample the real Jamaican jerk chicken or pork, served with wholesome yam, rice and peas and soft banana. Or try the steamed fish tails served with turn cornmeal for a seafood alternative. With a relaxed atmosphere, this casual haunt is the perfect place to have a mid-morning or lunchtime dish. For more information call +1 876-929-3906, or visit them on the web at Hot Pot. $$ – $$$ So So Seafood Bar & Grill So So Seafood Bar & Grill is a perfect choice if you are looking to sample authentic seafood. With clever seafood twists such as their fish burger with cheese, and other more traditional options including savory salt fish fritters. Relax at the bar and enjoy some cocktails including The Phoenix special and the Campari Grapefruit. With a live DJ every Friday and classic reggae sounds playing in the bar, this eatery is a must-visit. For more information call +1 876-968-2397, or visit them on the web at So So Seafood Bar & Grill. $ Sweetwood Jerk Point They offer a traditional Caribbean barbecue grill, with a wide range menu of jerked meats, pork, chicken, sausage, fish or lamb cooked on an open barbecue, as well as side options such as sweet potato or yam, breadfruit or rice and peas. It’s a great place to sample authentic flavors, unpretentious and delicious eats. Sample the soups for a lighter alternative, they are delicious and must be tried. For more information call +1 876-906-4854, or visit them on the web at Sweetwood Jerk Point. Fiction Nightclub The hot spot is a popular venue for locals that want to party, mingle, and enjoy dance hall music on the weekends. The nightclub has a friendly staff and upscale ambiance that is sure to make you feel like a celebrity. The frequent parties, hostings, and special events held at Fiction bring about local and international celebrities. For more information call +1 876-833-2502, or visit them on the web at Fiction Nightclub. Mingles Mingles Pub, located in the Courtleigh Hotel, is a favorite among locals and the visitors that stay at the hotel. This upscale place offers a luxurious party experience. The pub has a range of theme nights, including Karaoke Fun on Thursday with a D.J. spinning records, a Friday night Escapade for those who want to relax and enjoy the music, and Saturday night is “Saturday Latin Mingle” with Latin dancing. For more information call +1 876-926-7744, or visit them on the web at Mingles. Triple Century Sports Bar The Sports Bar has several large 55-inch television sets, a lounge, and the main stage where karaoke nights and musical performances are held. Triple Century is a popular hang-out spot for locals, especially sports fans, and a frequent venue for intimate Dancehall shows. For more information call +1 876-906-2333, or visit them on the web at Triple Century Sports Bar. The Deck The Deck is popular among young professionals and college students. The sports bar and grill provides a haven for those who want to relax after a long day or party on the weekends. The Deck features an eatery, a sports bar located outside, and a lounge inside. This chill spot is known for its Dancehall nights on the weekends and live entertainment which sometimes brings in notable artists. For more information call +1 876-, or visit them on the web at The Deck. Escape 24/7 Bar & Grill With themed nights such as “TGIF” and “Karaoke Mondays,” it is not hard to understand why people flock to Escape 24/7 in Kingston. Escape is a place where clubbers come to release their stress, have a drink at the bar, and party. For more information call +1 876-960-1856, or visit them on the web at Escape 24/7 Bar & Grill. 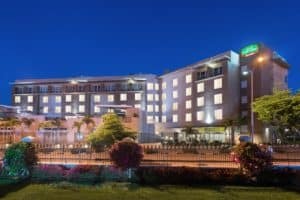 Whether you’re traveling on business, taking a romantic getaway, or vacationing with the family, the Spanish Court offers a wide array of exceptional services and amenities, as well as a prime location in the heart of New Kingston, sure to please the most discerning individual. At the Spanish Court, we are dedicated to providing you with incomparable comfort, convenience, and luxury. For more information, pricing, or to reserve your room visit Spanish Court Hotel. 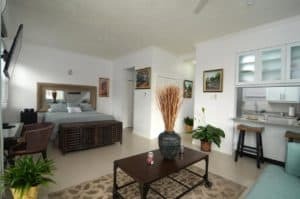 Choose To Be Happy @ Eight is a well-equipped apartment in Kingston. The apartment provides rooms featuring complimentary wireless internet, individual climate control, a laptop-size safe, TV with satellite channels and high ceiling. Bathroom facilities include a hairdryer, soft bathrobes and bath sheets. For more information, pricing, or to reserve your room visit Choose to be Happy @8. Offering an outdoor pool, a fitness center and free WiFi, Hill Top Kingston Jamaica is located in Stony Hill. It has wonderful views over Kingston city center, located around a 10-minute drive away. For more information, pricing, or to reserve your room visit Hilltop Kingston Jamaica Bed & Breakfast. 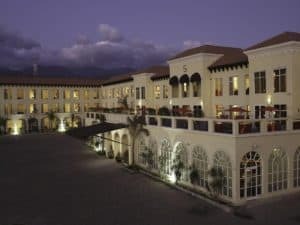 This Kingston, Jamaica hotel features an on-site restaurant, outdoor pool and 24-hour fitness center. 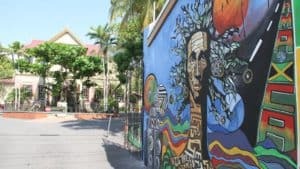 Just a 5 minute drive from Bob Marley Museum, this centrally located hotel offers contemporary rooms with free Wi-Fi. Alexander’s Restaurant offers indoor and outdoor dining and serves local and international cuisine for breakfast, lunch and dinner. Mingles Pub & Pool Bar is also on site. For more information, pricing, or to reserve your room visit Courtleigh Hotel & Suites. Situated in the heart of the city, we surround you with the core culture of Jamaica, where theaters, art galleries and music venues seamlessly blend with nightclubs, shops and restaurants. Explore the excitement by foot, or soak it all in while taking in the views from their rooftop pool and bar. Ready to sip and savor? The Centro is open for breakfast, lunch and dinner to ensure you stay satisfied throughout the day. With free Wi-Fi, mini-refrigerators and luxury bedding, their accommodations make settling in a simple task. For more information, pricing, or to reserve your room, visit Courtyard by Marriott Kingston. 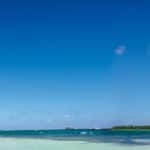 This is such a useful post, I have heard about Jamaican Beaches but never been there, though I saw them on TV.Beaches are so beautiful but top of it is this article which gives us A to Z Guide if we plan to go there. This is very useful and I love that you have also mentioned about best months to go and what to take and what we will get there. Thank you. Thanks for visiting my Kingtston Jamaica vacation post. Glad you enjoyed! Awe-inspiring! You know we are expecting about a half a foot of snow here tonight. Those beaches are looking mighty fine right now. I really like the idea of spending some time one of those cays. Poor peeps who got scammed buying an island that gets submerged with the tide. I heard a rumor that Mick Jagger has a home in Jamaica? 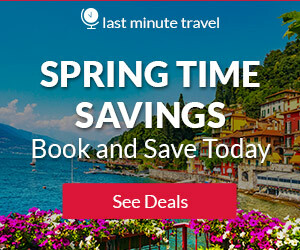 Your site is full of extravagant vacation ideas, how will I choose? 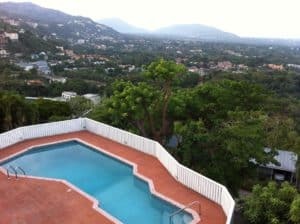 Yes, Mick Jagger has a home in Ocho Rios 🙂 You can visit my Ocho Rios post here. Yes, lots to choose from for sure. Thanks for visiting Kingston Jamaica Vacation. 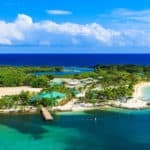 I’m ready for a vacation and I’ve never been to Jamaica.Lime Cay looks like a place I could spend hours just relaxing. I hope it doesn’t get too crowded. My wife and I love history so Ft. Charles would be an interesting place to see. It looks cool!We’re into birds too so the Arrowhead birding tours would definitely be on the list. This would make for some great pictures for sure. Awesome hotels with great views and I’m sure we’d stay at the Marriott!I think we would have a great time visiting Jamaica. Any particular time of the year being the best to visit? Any time is great to go to Jamaica Rob! If you want to avoid the rain, than skip August thru October. You and your wife would have a wonderful time 🙂 Thanks for stopping by. All the information I need to have a vacation is right here! Most of the times it is overwhelming just to think of travelling to some place for vacation because you don’t know how things will work out. I would love to visit Jamaica and tour Bob Marley Museum and see his guitar! Thank you for your research and this website is the source of information I will need when time comes for me to travel. You are very welcome, thanks for visiting! Thank you for the information on Kingston Jamaica Vacation. I love beaches. My friends always tell me that Jamaica is a nice place for vacation. There are quite a number of attractions in Kingston Jamaica. Is it easy for us to get around on our own or is it better to join the local tours? How many days do you think is good for a vacation in Kingston? The Spanish Court Hotel looks very nice. I love it. Hi Christine and thanks for visiting Kingston Jamaica Vacation. As far as getting around, if you want some local Jamaican flavor, then opt for the buses. If you are not an anxious driver, then a rental would be good. Going with tours can also be a great way to see the area. There are lots of choices. Personally, I believe 2 weeks is a good amount of time. I think of it this way, I travel there from the US and consider flying in and out as two days which are just not “vacation” days. So if you went for a week, you are only looking at 5 days for lounging and touring. Not enough I don’t believe. 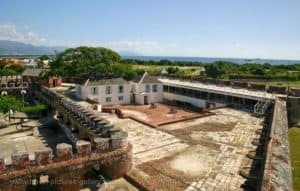 Thanks for the great post on Kingston Jamaica. I’ve only been to Jamaica once and that was about 15 year ago via cruise ship. I vaguely remember climbing a waterfall somewhere but I may be getting that confused with another trip. I’m due for another vacation this year and I’ve been wondering where to go. One of my biggest issues when traveling is selecting where to eat so I really appreciate the list you’ve provided here. I’m a SCUBA diver. Do you know of or can you recommend any diving spots in the area? I see you mention it as an activity but don’t really offer any details. Maybe a recommendation for a dive shop? I can’t go on a tropical vacation without at least diving once. Hi there, I would definitely use Scuba Caribe. They are the best dive shop in the area. Please let me know if you need any other information. Wow! You have offered such detailed info about Jamaica. I’ve never been but I would like to visit some time in the near future. I’ll be keeping this guide handy for then.I’m from a Caribbean island as well and I know how driving can get! (Hahaha) but what about the local buses? Are they easily accessible and what about pricing?Do you have any suggestions about other accommodation besides hotels? Kingston Paradise Place Guestrooms, Camelia Rooms, Widcombe House, or the Havendale Studio Apartment. All have excellent ratings and are quite a bit more reasonable in price. Please let me know if you need any additional information. Tropical climates, submerged pirate cities, clear water, AND delicious food?! I’ll go pack my bags! This post was so informative, I feel as though i know everything about the entire area. The history, hotel accommodations, restaurant suggestions, and comprehensive guide to the lay of the land are excellent- and I feel like i could confidently choose this as a vacay spot! Greaet Darci, and you won’t be disappointed. Glad you enjoyed reading my Kingston Jamaica Vacation review. Thank you for this review of Kingston, Jamaica. I found it very helpful as I am trying to decide where I would like to go for a beach vacation. The pictures you showed and spots you talked about sound great. It looks very beautiful. Yet part of the reasons for researching vacations on the internet is to find the “dream vacation.” So, I am very appreciative that you really described what to expect and look out for in a trip to Kingston. From what you say, Kingston is probably a bit to “active” for vacation that I am dreaming of. Granted, someone that likes adventure and activity would probably love it. I’m seeking a beach vacation that offers more quiet, solitude, less people. One that is more remote. Yet, I still enjoyed READING about Kingston, Jamaica. Thanks. Great Sondra, if you look at some of my other reviews, I do have plenty in there that are more of a remote and quiet type of beach travel. I am sure you can find a great vacation just waiting for you. Please let me know if I can help. Thanks for visiting my Kingston Jamaica Vacation post. Wow, I’ll be sending this article straight to my cousin who lives down in the Fort Myers region. He loves venturing across the state and I also know he’s been down in the Caribbean a few times, namely the Cayman Islands. I know a Jamaica destination is on his itinerary as he continues his Caribbean journey. 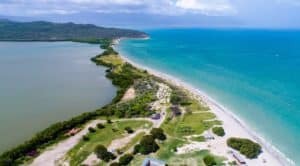 While I’m more of the mountains and forest type who likes to venture to the North, he’s definitely more of the beach and ocean type, so I’m glad I found an article like this! Great and he will love it. I do not live far from him and I think I agree with his type of lifestyle 🙂 I have also lived in Alaska for 22 years, and it just really didn’t suit me. I am more of a beach travel type of gal. Thanks for stopping by Todd. Hi! The year has just started and it’s the right time to plan our family vacations. Jamaica has always been an attractive destination for us. But we haven’t gone there yet. I feel attracted to this island this year. And reading your post has had much to do with it. We plan to go on May and I’m glad to see it’s one of the months of the year you recommend to visit the island. Thank you for also mentioning that EU citizens don’t require visa. I’ll book mark this post for further consultations as we progress our vacation planning. Ok Henry, and you will love Jamaica. Please let me know if you have any further questions. Thanks for reading! I must say that you give me a very interesting idea. I have never been to Jamaica and now I can see that it is not that expensive as some of my friends say. I would like to go there in spring with my family, I hope that I can get a vacation from my boss. I also heard that the beaches are very beautiful, definitely worth going. You think that my dog can go with us? Is it allowed? Yes you can take your dog. Only requirement is that he/she is current on a rabies vaccination. Now you can take the entire family 🙂 Thanks for stopping by Daniel. We have vacationed quite a number of times in Jamaica and love it. I haven’t ever been to Kingston though. With the crime against tourists in that city in the past I am a bit nervous about it. If we do end up there or close to there I would love to see the Bob Marley museum. I’m a big fan and it would be great to go. Yes Stew, I agree on the Spanish Court hotel. The crime is better, and if you stay in the tourist areas, then you won’t have any problem. Of course take all of the precautions you normally would when traveling to a foreign country. Wow! 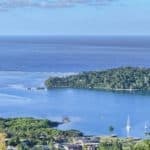 Lots of excellent information about visiting Jamaica. It is on my bucket list and sounds like an awesome place to visit. There is a lot to see and do. It has an impressive history as well. Thanks especially for putting the visa requirements down in your article. So many travel sites do not, but it is important information to have. The video was just beautiful. I wish that it would have named some of the places it was flying over. Glad you enjoyed Ellen! Hopefully you will fulfill this bucket list item soon! I have been wanting to visit Jamaica for along time. Last year I made up my mind to go but their was no vacation for me at my work place because we really need to attend to so many things before the year runs out. Luckily for me I have been promoted so I have the chance of having a nice time with my family. 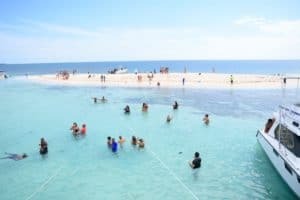 I know my family will be glad if we go to Jamaica on vacation to explore nature, the beach and the features listed in this post. Great Lok, please let me know if I can answer any other questions for you. Thanks for stopping by! Have yet to make it to Jamaica. Been to Cuba, Mexico’s Yucatan and a South East Caribbean cruise but never to Jamaica. Friends that have gone loved their time there. I thinking February would be the best month for my schedule and it sounds like February is a little less busy then other times. Is that correct? 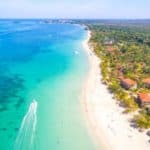 Could you suggest a modest, quiet, all-inclusive resort? Thanks for the article. Yes, February would be great for all the reasons you listed 🙂 There are no all-inclusive resorts in Port Antonio that I know of. You will have to visit Ocho Rios, Negril, or Montego Bay for an all-inclusive. Please let me know if any of these locations interest you, and I can give you your options in all-inclusive resorts.